William Harvey was born on the 8th of June, 1874 in 44 Baker Street, Stirling, but the death there of his Stirling born father, Charles Harvey [Coach Painter] from Pulmonary Tuberculosis, on the 9th of September, 1874, aged 28, immediately put the whole burden of rearing William and his elder sister Margaret Galbraith Harvey (b. 25th of October, 1872 in Stirling) on to his 33 year old, Bo’ness born, mother, Helen (Robertson) Harvey. In the 1881 Census, the family appear thus …. After having received what schooling it was compulsory for him to take, William had to apply himself to work, and, at eleven years of age, in 1885, he was apprenticed to a hatter. On the expiry of his apprenticeship, which took place in his early teens, he expressed a dislike for the occupation, and so was apprenticed to a craft. He entered a large carriage-building establishment at Stirling, and was initiated into the 'mysteries' of coach-trimming. In the 1891 Census, William is alone with his mother, thus .. 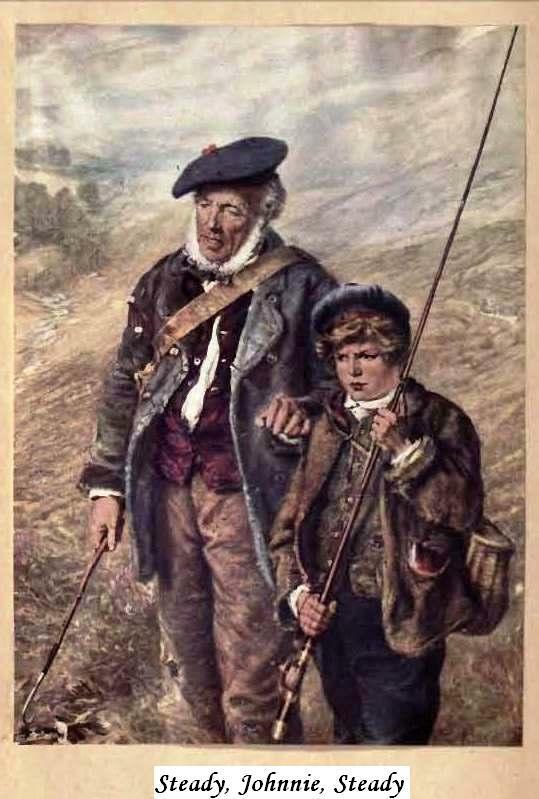 Here, however, William was also dissatisfied with this calling, and in his spare moments, while serving this coach-trimmer apprenticeship, he engaged in the study of shorthand; and, when just about to be considered a full-fledged tradesman, he was offered a job in one of the principal law offices in Stirling, which he accepted. However, a significant event of a different nature occurred in William’s life in Stirling in 1899 - He became a Freemason when initiated in Stirling Royal Arch No. 76 in that year. Thus, at this point in his story, it seems appropriate to record his progress in Freemasonry up to his death in 1936, as well as the titles of some of his published articles about Freemasonry completed before his death in 1936 v.i.z. 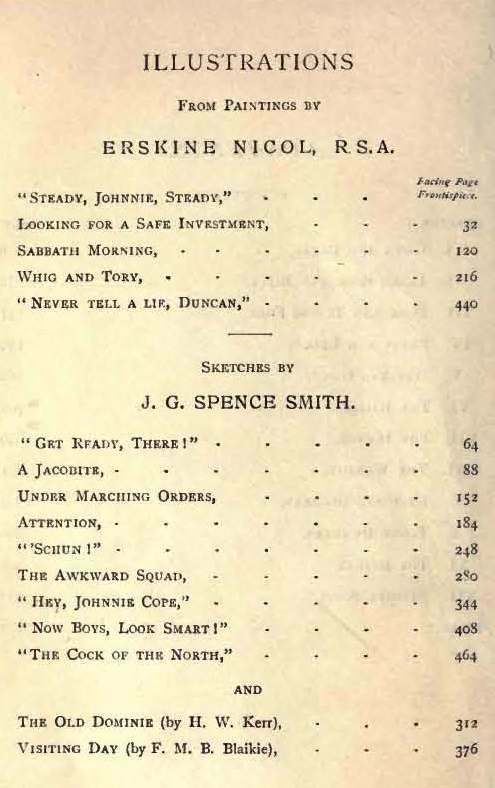 and the 544 page, “Irish Life And Humour” in 1909. Then, in 1910 William married Marjorie Annie Gray Mackay, and, in 1911, they were blessed with a son, whom they named, William Robertson Harvey. William clearly progressed in his journalistic career as it is known that he soon became the editor of a Dundee Newspaper. But this probably did not occur until after the publication in 1911 of one of his most popular books, the 545 page opus, “Scottish Life and Character in Anecdote and Story”. He clearly was a highly regarded citizen when we note that he served as a Justice of the Peace; and he must also have been well respected by his fellow contributors to the arts when he was awarded a Fellowship of the Scottish Society of Antiquaries. However, little appears to have been recorded about the details of his life in the 1920s and 1930s …. apart from his Freemasonry activities. The certificate of his premature death on the 5th of July, 1936, following a coronary thrombosis, shows that he had been predeceased by his wife Marjorie, but that he at least had had the company of his son, William, at 11 Blackness Avenue in his latter years. In 1893 William Harvey edited a volume by David Taylor, the St Ninians poet, which gained very favourable receptions both at home and abroad. From 1894 onwards he contributed a series of articles to the Stilling Journal and Advertiser concerning poets who had either been born, or had, at some time, lived in Stirlingshire. This completed work was published in 1897 under title "The Harp of Stirlingshire? But meantime in the spring of 1896 he had issued a book dealing with Scottish life and character, entitled Kennethcrook: Some Sketches of Village Life." Note: These chapters are provided in adobe reader format. THE VILLAGE AND ITS WAYS. The diffusion of knowledge by means of the Chapbook practically began with the introduction of printing into Scotland. From the days when the Glide and Godlie Ballates of the Wedderburns were put in circulation, down to the middle of last century, the chapman was a travelling publisher of much importance. In crowded mart and on solitary moor he plied his calling: there he sold his broadsides by the ream, here he tempted the reading rustic to a judicious selection from his pack: in both cases he did what he could to spread knowledge and line his pockets. The object of this volume is to provide a brief account of the chapman and his literary wares: to present a short survey of the literature of the common people during a period of three centuries, to trace the rise and influence of the Chapbook, and to mark its decay, or rather its blending into the cheap publication of the present time. The most important of the Chapbooks are discussed at length, and as many of them are valuable for the light they throw upon the life and customs of the people among whom they circulated, the extracts that have been made will doubtless be read with interest and enjoyment. Much biographical and bibliographical information concerning authors and printers and publishers is given. The greater part of this is presented in footnotes, which have been introduced freely with the view of enhancing the usefulness and value of the work, and at the same time preventing the text from becoming overloaded with details. To facilitate reference, an alphabetical list of all Chap- books referred to in the volume is included. It will be found at page 145. A Glossary and General Index have also been added. In the matter of Illustrations the book is well supplied. A number of the quaintest pictures are reproduced, many of which show at once the crudities of art and the pictorial limitations with which early printers had to contend. No pains have been spared to make the volume worthy the subject of which it treats, and it is hoped that it will be of value both as a contribution to the literature of the social life of Scotland, and as supplying, in the absence of an exhaustive history, a hitherto unwritten chapter of the literary annals of our country.